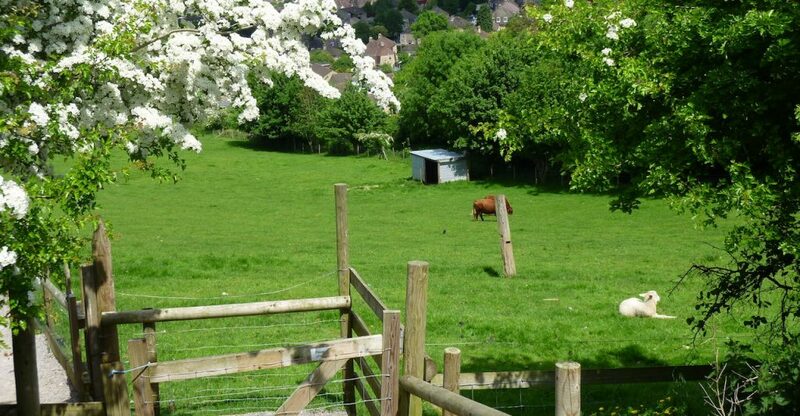 To help you discover every corner of the farm we have created some fun-packed trails for the whole family to enjoy. We also have a play park and an exciting amphitheatre for you to experience. Go back in time on our Walk through History Trail. 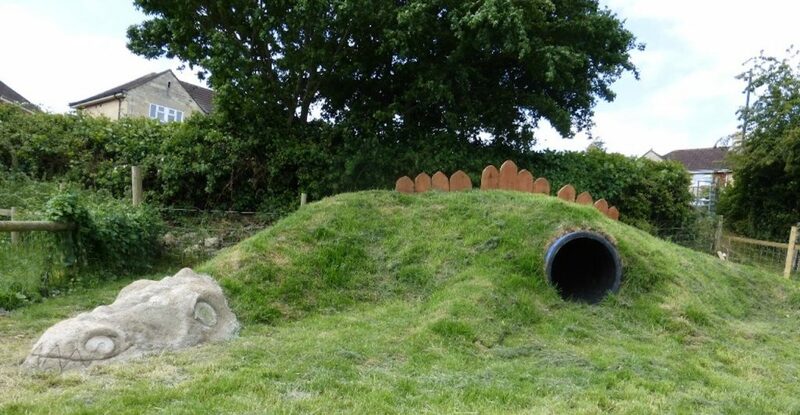 Spot the dinosaur laying amongst the the grass, climb inside a replica air raid shelter from World War II and examine real fossils. There are ten land markers to unearth, covering one mile and taking approximately 45 minutes to complete. This one-mile trail will take you through woodlands and grassy meadows blooming with wildflowers. Stop at our wildlife pond and spy on the magnificent dragonflies, newts and frogs. Check out the new tree house at the bottom of the tree line below Kelston Copse. An interactive wildlife guide and map of the trail is available for 70p from the Farm Shop or Café Kiosk. Peel the sticker from the front of the guide and collect leaves and petals to stick on. It's muddy when it's wet - so don't forget to wear your wellies! A place to let off some steam and allow imaginations to run wild. 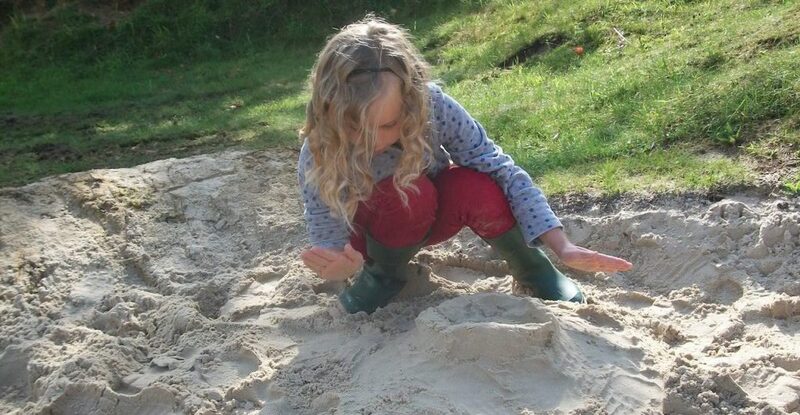 Inspired by a medieval castle, The Fort has a sandpit, climbing wall, slide, swing, interactive water cascade and space to create their own adventures. There are wooden benches and grass space near to The Fort for families to enjoy a picnic. Sit inside an old bomb crater and watch live performances on our outdoor amphitheatre, The Crater. 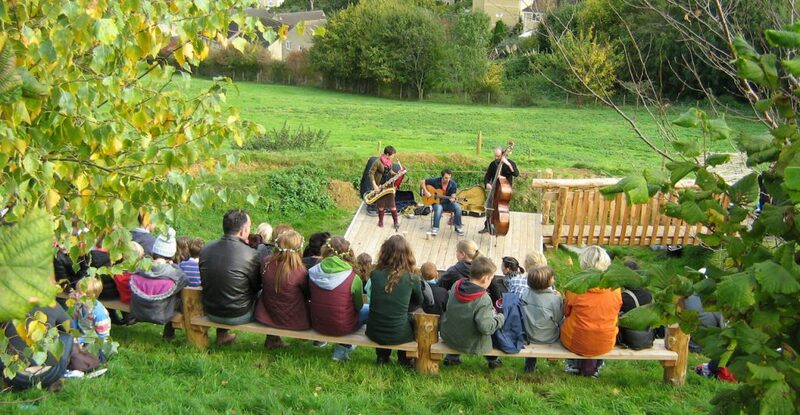 With events from storying telling to live music be sure to keep up-to-date with What's On at the farm to not miss out. Interested in hiring The Crater for your own events? It has electricty supply, fantastic views and seating to hold 60 adults. Click to book. Ever heard of #Bathrocks ?